I had to look out for a replacement when my precious 17” macbook pro workhorse was getting slow and the battery was nearly dead. 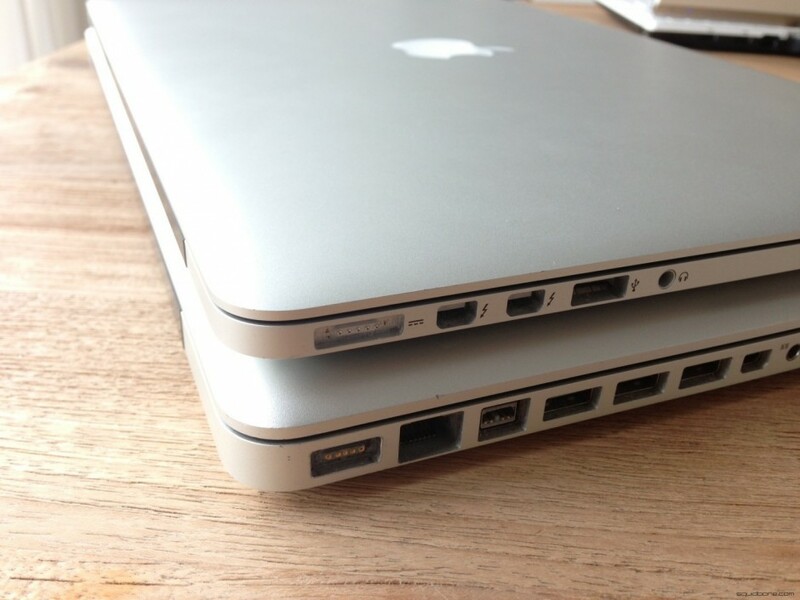 Unfortunately, Apple decided to kill the good old 17” MBP when retina was introduced. What a shame… So I was forced to consider the 15” version or go back to Windows. I wasn’t sure if I could cope with the loss of screen estate and staring at a glossy retina screen. But I must admit; it does its job very well. The reflections arent too bad and the flash memory is lightning fast. I am happy.